Beleaguered IL&FS has seen few takers for the post of independent directors. Should independent directors be held responsible for the financial failure of a company? 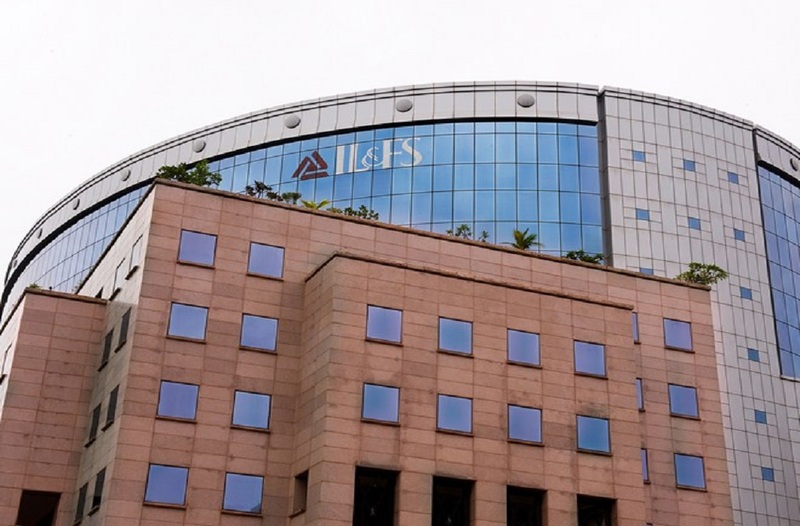 An independent directorship at IL&FS was once a sought-after job for retired bureaucrats, but following the company’s default crisis in September 2018, more than 70 such positions lie vacant. Things are so bad that the company cannot meet its mandated requirement that one-third of its board of directors be independent directors. IL&FS is the most recent example of corporate scandal that puts great scrutiny on the importance of corporate governance, especially the role of independent directors. Corporate governance is a set of relationships between a company’s management, board, shareholders and other stakeholders. Corporate governance principles are designed to provide a roadmap for how companies protect the interests of their long-term shareholders, and in doing so, also protect those of other stakeholders—employees, customers, suppliers, stockholders, management and the community at large. The Companies Act, 2013, and the Securities and Exchange Board of India (Listing Obligations and Disclosure Requirement) Regulations, 2015, provide a regulatory framework for corporate governance and other disclosures required for related third-party transactions, accounting and remuneration of directors. The Companies Act mandates that one-third of all directors in listed public companies be independent, with independence defined as having no material pecuniary relationship or transactions with the company, its promoters, its management or its subsidiaries. In the case of unlisted companies with more than Rs 10 crore in capital, at least two directors should be independent. The issue of board composition—that is, its size and level of independence—has been a subject of considerable academic debate. There is no consensus on whether companies with larger boards perform better than companies with smaller boards. Some research suggests that larger boards are slow-moving and bureaucratic and act as a hindrance to strategic thinking. Others argue that small boards are detrimental to a company’s performance because they encourage group think and provide less transparency. The academic community is also divided on the level of independence in a board. Some argue that it is good to have more inside directors relative to outside (independent) ones because they have a better understanding of the day-to-day operational issues of a company and can provide better advice. Others argue that there is a positive relationship between corporate transparency and the proportion of independent directors. Companies with a higher percentage of independent directors have fewer cases of corporate fraud and hence, should be more valuable to shareholders and should perform better. Studies on the composition of boards show that the average board size in India is around 8.4 compared to 9 in the US. In the US, independent outsiders make up 66 percent of all boards, while in India the number is closer to 55 percent (Wall Street Journal and NSE Indian Boards database). It appears, therefore, that, on average, boards in India are smaller, but US boards have a higher composition of outside or independent directors. What is the role of independent directors? Are they arbitrators between the controlling shareholder and public shareholders, or should they be responsible for providing oversight and exercising a more defined control role? 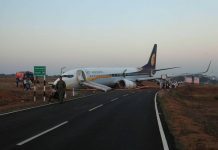 Independent directors, therefore, cannot escape liability if they don’t act against wrong committed in their knowledge. The Companies Act prescribes civil and criminal liability for directors. Also, directors can be liable to face class action suit under Sections 245 and 246 of the Companies Act, investigation under Sections 206 to 229 of this Act, criminal misappropriation under Section 403 of the Indian Penal Code and criminal breach of trust under Section 405. Some of these penalties could include criminal prosecution and possible jail time. 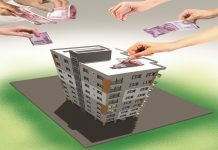 Recently, the homes of the directors of Bhushan Steel were raided by government agents investigating a potential fraud of Rs 2,400 crore at the company. In 2017, a Supreme Court judgment prevented independent directors of Jaiprakash Associates from transferring even personal assets because the company was facing insolvency issues. Clearly, independent directors have been put on notice. They are not there to merely be cheerleaders for management but are required to play an active and vigilant role in the decisions that are being taken by the company. They are expected to play the role of auditors and be the eyes and ears to ensure that there is no fraud in the company. And the vast majority of independent directors are unprepared for this responsibility. Most of them do not have the technical skills to perform the kind of forensic audits required to detect if the management is committing a fraud. This is precisely what happened at IL&FS. The vast majority of its directors were former bureaucrats who, after spending decades in government and working with politicians, are well-schooled in the art of cheerleading and turning a blind eye to fraud. Most ex-bureaucrats have a different skill set than that required by big businesses. While they are trained to execute projects, they are not expected to be creative out-of-the-box thinkers. Government policymaking is slow and follows prescribed models. It does not reward quick and innovative thinking. Bureaucrats, while in government, are pigeon-holed into departments but as independent directors, they are called upon to understand the big picture which requires a different skill set. In government, bureaucrats play with taxpayer money with no personal skin in the game. Like in the board game Monopoly, their decisions are removed from the real consequences of poor outcomes. 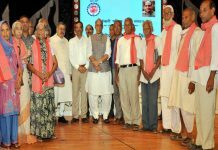 The dismal state of India’s state-run banks, whose boards are staffed mainly by ex-bureaucrats, is an excellent example of having the wrong person for the job. Director competence has become a big issue in academic res­earch on corporate governance. More and more researchers are focusing on the competencies and integrity of individual directors to understand the effectiveness of corporate governance models across different countries. In defence of independent directors, it is tough for them, even those equipped with the appropriate technical skills, to detect operational fraud if they are not involved in the day-to-day operations of the company. Recently, the National Company Law Tribunal (NCLT) froze the assets of independent directors of companies belonging to Nirav Modi and Mehul Choksi in connection with the Punjab National Bank (PNB) fraud case. The independent directors vigorously argued in court that they were “independent” and had no role in the day-to-day operations of these companies. It is a bitter truth that the vast majority of independent directors in India are hired only to comply with the Companies Act, 2013. They are neither hired for better corporate governance nor for protecting the interests of minority shareholders. Indian firms tend to appoint directors who are overly sympathetic towards the management. This stems from the fact that India’s corporate culture is still dominated by the presence of state-owned companies and family-owned enterprises. Their inherent nature leads to more conflicts, and checks and balances over executive behaviour less tenable. Roughly, one of every six rupees spent in India goes to a state-owned company—only in China does a greater share of spending go to state-owned firms. The boards of these state-run companies are dominated by ex-bureaucrats for whom these directorships are cushy post-retirement jobs. Their survival in these positions is dictated by their political masters and not the long-term performance of the company. Fifteen of the top 20 business groups in 2016 were family-owned. Together, they controlled nearly Rs 26 lakh crore ($390 billion) worth of assets at the end of FY16, accounting for 84 percent of the combined assets of the top 20 business groups. Most of the directors in family-owned companies are themselves promoters of other companies. There is thus a real danger of quid-pro-quo among the promoters, with each watching out primarily for the interests of the promoters at the expense of the minority shareholders. It is clear that, at least on paper, the pendulum in India’s corporate governance has swung from no governance to poor governance to extreme governance. This is a dangerous trend and may discourage competent people from being involved in directorships. In countries with well-established corporate governance norms, courts generally apply the business judgement rule under which a board’s decision is protected unless it is shown that the directors breached their duty of care or responsibility of loyalty. Negligence on the part of a director does not result in personal liability unless he has failed to act in good faith. A director is held criminally liable only in cases of theft and fraud. Also, the decisions taken by a director are strictly scrutinised only when it comes to the sale or change of control of the corporation or in situations involving stock trading using insider information (information that is not publicly available). If an independent director acts in good faith, acts diligently, and makes decisions that are in the corporation’s best interest, then he should not be held liable for the financial performance of the company. He should be provided immunity and protection except in cases of wilful fraud or gross neglect. Companies should also be required to put on their board people with the necessary technical skills and business experience to understand the current and emerging short and long-term risks it faces and the adequacy of its risk management processes. Most importantly, compensation structures should be designed to realign the incentives of these directors with those of the long-term success of the company. The compensation of independent directors in India consists of a cash component, and smaller cash amounts paid for attendance at board and committee meetings. There is very little incentive compensation in the form of stock and stock option grants which vest over a period of several years. If we want directors to further the long-term health of the companies they serve, their compensation should consist primarily of restricted equity—stocks that the director cannot sell for one to two years after his last board meeting. These changes wouldn’t prevent every scandal or solve every problem with corporate governance. But it would help get better people with proper incentives and willing to take entrepreneurial risks to focus their attention on the company’s longer-term profitability. Hounding independent directors for the financial failure of a company is like throwing the baby out with the bathwater.